After 7pm is a natural hormone produced by the pineal gland which has often been called the body’s internal time clock. After 7pm helps to regulate your sleep cycle and keep you well-rested and alert during waking hours. New studies suggest that its properties as an anti-oxidant can also strengthen your immune system. Other benefits include combating the effects of jet lag and fatigue from cross-time zone travel and providing the body with necessary melatonin levels when you work off shifts that limit your exposure to sunlight, which stimulates melatonin secretion. 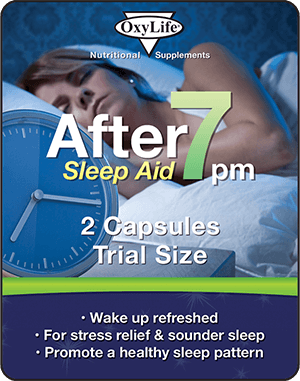 After 7pm is a powerful sleep aid anti-oxidant and anti-aging hormone so consult a physician before using. Melatonin is used to restore sleeping patterns and fatigue caused by cross time-zone travel.